The great news that these are great. 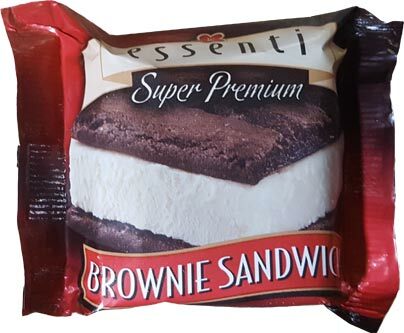 It's a nice solid ice cream filling with a decent amount of flavor inside two well textured brownie slices. It's simple but well done. 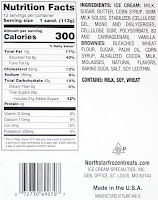 The brownies are nice and soft and have good flavor. The whole thing is nice and cold (ofcourse!). And wow, yeah, I inhaled it. It's been 10-15 minutes and I'm still savoring the aftertaste. 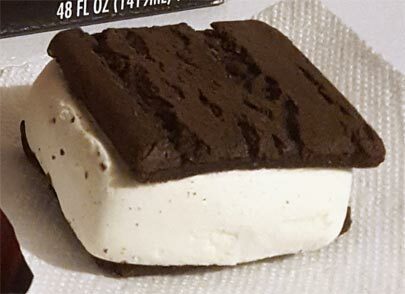 It's got a classic ice cream sandwich filling and then mixed with those bownies, awww, delightful. 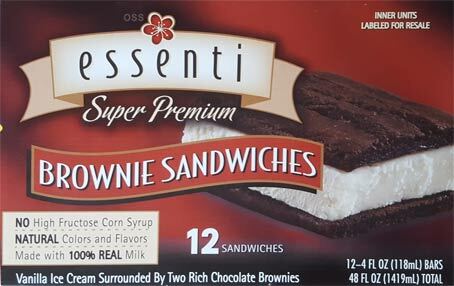 Don't get me wrong, I also love an ice cream sandwich that uses chocolate cookies, but there's just that added bit of magic when you use brownies instead. I'm so going to be eating these on the way to work everyday. On Second Scoop: I think I've had three of these now and they are always tasty. On my second try, I thought maybe I should have left it temper first, but I ate the third straight from the freezer and it was excellent. I know they are good, but try not to go to fast. Give that brownie & vanilla combo a moment to win over your tastebuds. The only minor thing I will point out is that my daughter mentioned the occasional crunchy part which I think might be ice? I only noticed it once in three tries but be aware it might be a thing. 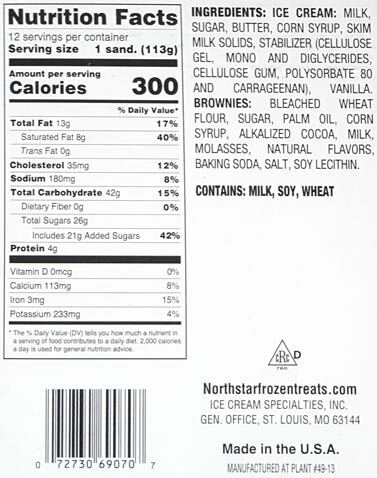 History Note: Who remembers Klondike What the Fudge brownie sandwiches?